Jim Wrobleski & Co Inc. Stunning originality is the hallmark of the largest automotive trade show in the world, which comes to life for a few short days once a year in Las Vegas. Starting with empty halls and bare concrete floors, an estimated 5,000 workers build infrastructure to support thousands of exhibitors, in the process bringing in close to 10 million lbs. of freight. In empty parking lots, hundreds of workers swarm to erect structures. 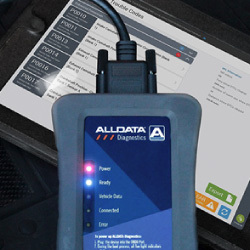 The SEMA Data Co-op has become “data central” for hundreds of specialty parts brands, representing millions of part numbers, and tens of millions of vehicle applications. This directory is designed to guide data users to brands that have successfully undertaken the challenge to manage their product data, and to continue to expand reference as more brands are added to the SDC repository. With the 2018 SEMA Show in the books, the industry collectively turns to follow-up. For exhibitors and buyers, pursuing leads and contacts from the Show can lay the foundation for a successful year ahead. Likewise here at SEMA, the weeks following the Show are filled with post-Show assessments, including gauging where the industry is headed. For nearly a decade, WD-40 and SEMA Cares have worked together to bring vehicles to auction for the benefit of SEMA Cares’ charitable partner organizations. On January 17, a ’67 Camaro will be auctioned to benefit Childhelp at the Barrett Jackson Auction in Scottsdale, Arizona. Childhelp is an organization dedicated to closing the cycle of child abuse in the United States by helping victims and those at risk. A poll is taken of exhibitors every year at the SEMA Show to ascertain which vehicles they feel are the most customizable. The SEMA Award winners that result represent the cars, trucks and SUVs that aftermarket manufacturers are investing in and developing products and accessories for. 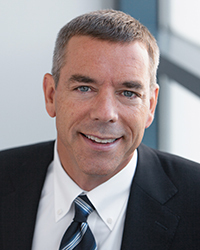 That allows SEMA to formally recognize the year’s trends and promote synergy between OEMs and the aftermarket. The top four contestants from SEMA’s 2018 Battle of the Builders competition will be featured along with many other SEMA Show builders in a new episode of the TV special “SEMA: Battle of the Builders.” Hosted by Adrienne “AJ” Janic and racer Tanner Foust, the one-hour special will air on the Motor Trend Network at 10:00 p.m. (ET/PT) on January 7, 2019. The SEMA Show moved from Anaheim, California, to Las Vegas, Nevada, in 1977, long before the phrase “What happens in Vegas stays in Vegas” was coined. Las Vegas was the perfect location, providing room for the show to expand, world-class entertainment, and an exciting destination. Today, more than 70,000 buyers and 2,400 exhibitors from all over the world participate in the SEMA Show. While the SEMA Show happens in Las Vegas, the long-term business relationships developed there extend far beyond the city limits. Toyota Supra Race Car: The specs for the two models to be shown at the Detroit Auto Show have been all but confirmed: 265 hp from a base 2.0L inline-four, and 340 hp from the inline-six engine. Chevy Colorado ZR2 Bison: The Colorado ZR2 Bison is a factory-spec truck with serious off-road capabilities. It features class-exclusive front and rear locking differentials and Multimatic DSSVTM dampers. ’20 RAM 2500 Tradesman: The new HD trucks are expected to ditch the crosshair grille—a hallmark of the vehicle since the mid-’80s. Other exterior styling runs parallel to the 1500 but in a more muscular fashion. Industry news from SEMA-member companies, including Coker Tire, Lubrication Specialties, Chicago Pneumatic and Continental. Journalists are invited to sign up for the 2019 Motorsports Parts Manufacturers Council (MPMC) Media Trade Conference, taking place Tuesday–Thursday, January 22–24, at the Embassy Suites Orange County Airport North in Santa Ana, California, where they can sit in on up to 42 private meetings with executives from top motorsports parts manufacturers in the industry. The 2018 SEMA Show featured nearly 3,000 new products on display in the New Products Showcase—the No. 1 destination for attending buyers and media. All products entered were eligible for SEMA New Product Awards in 16 different categories, including street-performance, racing, off-roading and mobile-electronics, and each category had one winner and two runners-up. The annual competition recognizes the development of ground-breaking new products introduced to the automotive specialty-equipment market. A reintroduction to a convenient way to store insulated tools that are used in today’s EV market. Safe tools are the most important part of doing the job right; Cementex’s complete offering of American-made double-insulated 1,000V safety tools and personal protective equipment help you meet the requirements of OSHA, NFPA 70E and CSA Z462 standards. Every year, SEMA Show manufacturing exhibitors vote to recognize the cars, trucks and SUVs that they are investing in and developing products and accessories for, resulting in the selected automakers winning a SEMA Vehicle of the Year award. Winners of this year’s awards were the Ford Mustang (Car of the Year), Ford F-Series (Truck of the Year), Jeep Wrangler (4x4/SUV of the Year), Ford Focus (Sport Compact of the Year) and Polaris RZR Turbo S (Powersports Vehicle of the Year). The publications below highlighted the winning brands to their readers. 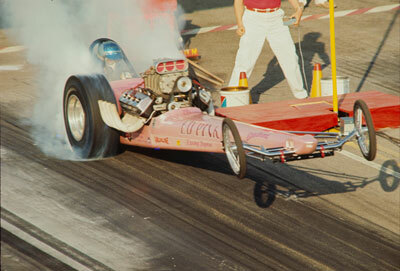 In this rare color photograph from the Petersen Publishing Company photo archive, Connie Swingle pulls the front wheels in Ed Pink’s Old Master Top Fuel dragster at the 1966 NHRA Winternationals.